Kim Klassen's texture "Golden" was added to this photo and blended in "Pin Light", Opaciity 70%. There is still time if you would like to participate in Kim's Texture Tuesday. collection of 36 of my favorite textures! Love the pop of color and your use of texture. That texture really works great with this shot. 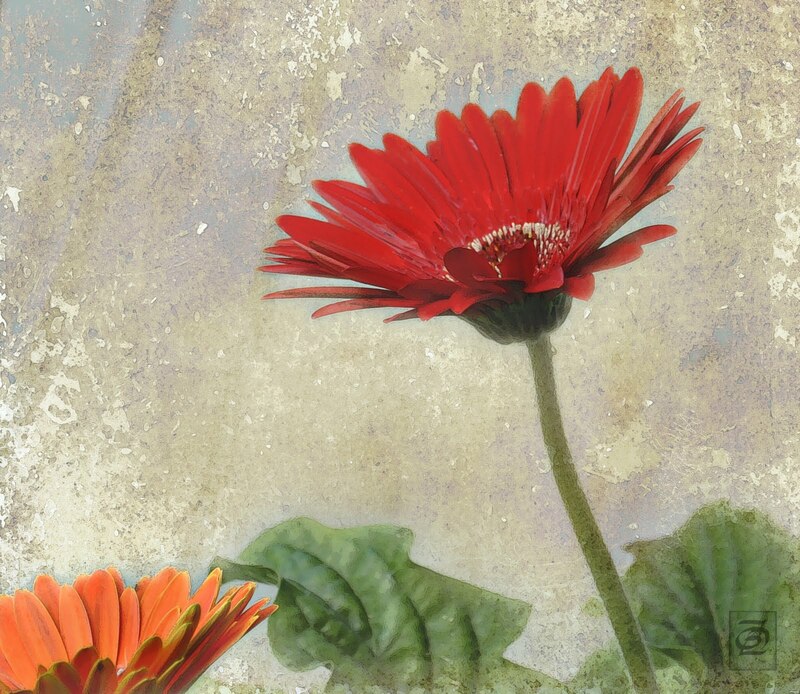 Gerbera daisies are fascinating....so beautiful in their sturdiness. I had a hot pink one that the deer ate to the base. I'm hoping that it comes back. ;-) You've worked Golden beautifully here, Bonnie! Great shot and I love texture. Excellent photo, great texture, very good, I really like. This is a fabulous combination. It really looks like it has been sprinkled with flecks of gold.